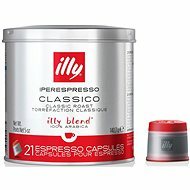 Illy Dark Roast blend has notes of toasted bread aroma with a subtle touch of caramel, ideal for rich and intense espresso. The pack contains 21 capsules with 7 grams of exquisite coffee blend. 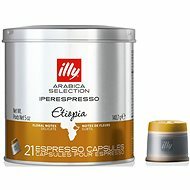 The capsules use a proprietary method of infusion and emulsion that creates an intense velvety drink topped by a silky and remarkably long-lasting crema. Simple preparation. The coffee is sold in a practical can, each containing 140.7 grams of coffee. South America, Central America, Africa, India Done! For shipping to other EU countries visit this page ILLY Iperespresso Dark. Chcete doručit zboží do Česka? 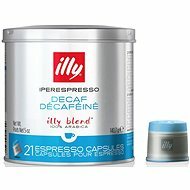 Prohlédněte si ILLY Iperespresso Dark. Chcete doručiť tovar na Slovensko? Prezrite si ILLY Iperespresso Dark. Für Versand nach Österreich, besuchen Sie bitte ILLY Iperespresso Dark. Magyarországra történő kiszállításért tekintse meg ezt a termékoldalt: ILLY Iperespresso Dark.